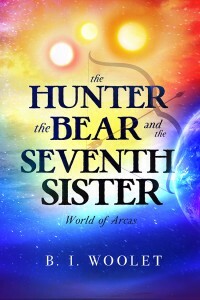 The online home of the World of Arcas series by B. I. Woolet. Jackson, a teen from Earth, gets thrown into the world of Arcas, a planet with ancient ties to Earth, and must help fight a rising evil there.  Every character and creature in the world of Arcas is connected to stars, constellations, or deep space objects. Leave your own world behind, dive through the shimmering portal, and join Jackson to discover the beauty, danger, and adventure awaiting you in the world of Arcas! When a beautiful and powerful stranger throws Jackson into the world of Arcas, his predictable midwestern life instantly vanishes into an all-consuming adventure. Jackson returns to Arcas expecting to find peace—a peace greatly lacking within his own home. But when a violent archer takes over as Lord of the White Palace, the future of the ancient kingdoms is shaken. 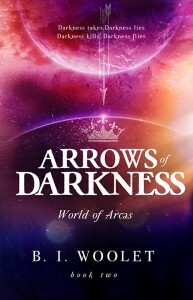 Arrows of Darkness – Preview! Arrows of Darkness: Trailer #1 is officially released!